In case you haven't heard what happened in the world of Instagram and Snapchat, here's a recap of the past 24 hours. Instagram Face Filters were introduced, the internet has given a gift of reactions and memes we don't deserve (these responses to Instagram's post on Twitter are our favorite) and many thought that Snapchat's future has yet again been questioned by the big scary competitor (Facebook). How scary is Instagram and Facebook's competition though and will copying Snapchat's features really kill the famous ghost? We looked at Snapchat Filters and Instagram Filters and compared them face-to-face. Many say that with Facebook's power and ability to afford the best engineers and a massive audience of 1.28 billion daily active users (March 2017), Snapchat doesn't stand a chance. Critics laugh at Snapchat's unique loyal audience yet Snapchat's 166 millions active daily users are not accessible on Facebook, Instagram, Whatsapp, YouTube and the likes at any given day. We, indeed, quite like the hashtag sticker Instagram introduced alongside the Facer Filters (as well as rewind and eraser features), yet Instagram Face Filters look like a knock-off version of Snapchat's filters. They slap koala ears and nose onto your face or give you nerdy glasses but they don't transform you into a big-eyed baby on The Mother's day. They don't turn you into a speaking fish, your flower crown doesn't blossom when you blow a kiss, you can't tap on your glasses to change your character's look and style. And while you can film or take photos of others and see a hint of sparkles or feathers flying around, you won't see a whole new world with 2D and 3D objects which you can interact with and plant flowers on someone's handbag with just one touch in seconds. With Snapchat's team creatively building and shipping new lenses and filters every single day, Facebook and Instagram have a lot of catching up to do! Copying Snapchat features, Instagram misses the mark not only in the quality of the filters but also in the user experience. As a camera company, Snapchat puts camera and content creation at the heart and as a starting point in the Snapchat app. Instagram had to place the Face Filters into the Instagram Stories with a small smiley face on the right from the camera button indicating the availability of the feature. If you are lucky the camera will recognize the facial features after you force quit the Instagram app a couple of times and persistently tap and hold the screen to get the filters working. After all that effort, what you are getting is a koala nose. 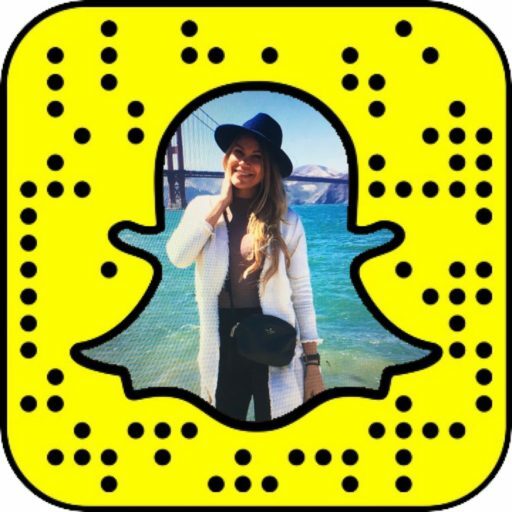 Snapchat made user-friendly changes to the user experience letting users seamlessly add old snaps shot in Snapchat to their fresh Snapchat Stories while keeping a visible white padding around photos and videos shot and added from the camera roll therefore encouraging users to make content with the Snapchat app. Instagram doesn't have the vision, thinking or understanding of this user experience. No wonder you can see celebrities on Instagram Stories uploading snaps made in Snapchat to their Instagram Stories. Why? Because Snapchat is fun and easy to use and Instagram is a sad jealous colleague whom you need to maintain relationships with because it's good for your career but if you could you would totally cut them out of your life! Instagram has never been shy about copying Snapchat. "I think it would frankly be silly of us if we were to say ‘Oh, see that good idea over there that’s actually fulfilling a need people have to share more moments of their life? Because one person did that we can’t even go near that idea." - saidInstagram’s VP of Product Kevin Weil’s about cloning Snapchat. He also previously said: "If we are being honest with ourselves, this is the way the tech industry works and frankly that's how all industries work. Good ideas start in one place, and they spread across the entire industry. Kudos to Snapchat for being the first to Stories, but it's a format and it's going to be adopted widely across a lot of different platforms". Facebook (as well its Instagram and Whatsapp) can copy, launch and test as many Snapchat features as you want but they miss one small detail: Evan's Spiegel's and his team's understanding what makes teenagers tick.